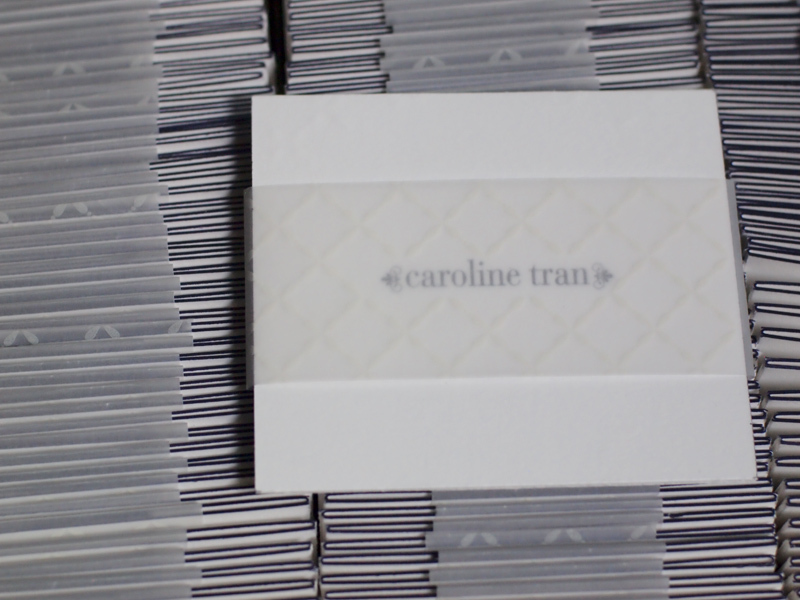 This was a fun project outside the usual scope of letterpress. 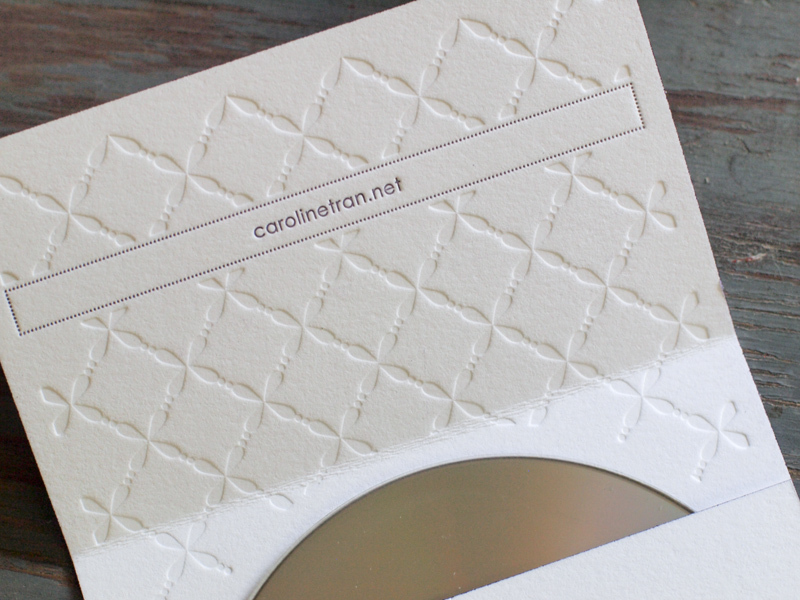 Usually letterpress and wedding go together, but here, letterpress with the talented wedding photographer Caroline Tran coalesce for a special project, a customized CD sleeve almost too nice to give away. Even I had a hard time parting with them.